There are many different kinds of coffee maker and coffees on the market, but do you know the difference between them and what they have to offer? Once you have made your selection do you know how to get the best out of your new purchase? Hopefully, the following will throw some light on the subject. These are steam-driven machines that produce very strong coffee. Espresso coffee is much richer and more concentrated than filter coffee and is the base for a cappuccino or latte. There are two basic types of machines, with pump machines the more expensive. Similar to a radiator in a car, water is boiled in a chamber and this builds pressure and steam. Eventually enough pressure is built up and forces the boiling water through to the coffee. The steam can be used for frothing. 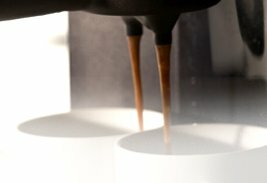 The disadvantage is that the water is too hot to make an authentic espresso and often the bar pressure is not enough to make a really good espresso. More expensive than pressure machines, pump machines have a separate tank and a thermostatically-controlled boiler with a 'Thermoblock' system that heats up the water to between 85-92°C - the optimum temperature for making coffee. The water is then sent through the coffee holder at the correct bar pressure. Espresso coffee is made by using finely-ground coffee. Some machines also use a pod system and many now use the increasingly popular Nespresso method. This is also a 'pod' system that produces espresso coffee. The coffee is blended, roasted, grounded, and then hermetically sealed in capsules which stay fresh for up to 9 months. The advantages of this system are that it's an easy way to make coffee, and most major brands of coffee makers have Nespresso systems. There are no messy filter holders to clean, no spillage of coffee granules - and the coffee tastes great! The downside is that you are tied to the supplier's range of coffees, which are at present only available by mail order. Good bar pressure is essential for making a good 'crema'. It means that the steam meets the coffee granules at the correct speed. Too slow and it could result in a bitter taste. 15 - 19 bar is the optimum, though some suppliers claim 9-11 bar is enough if the beans have been ground correctly. Rather like a shower, the Thermoblock is a type of boiler that heats up the water to about 90°C, via a pump. 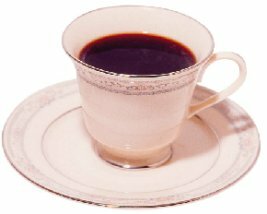 To achieve an excellent flavour it's important that you don't scald the coffee - unlike tea. Some models have a Thermoblock system for frothing the milk, which needs to be at about 120°C. This holds the coffee granules and should be kept warm. Basic models have aluminium ones but more expensive models have brass holders that retain the heat for longer. Like kettles, the higher the wattage the faster the water is boiled. High wattage machines are good if you are making several espressos. If you want to imitate the 'baristas' of the Italian coffee bars (experts in the art of making an espresso) it is essential you know how to achieve a perfect 'crema'. Crema is the pure coffee extract you find on the top of an espresso. Resembling the head you'd find on a glass of stout, it's full of rich aroma and leaves a lingering flavour. A test of a good 'crema' is to put a little sugar on the top. If it takes time to fall to the bottom you've succeeded! Latte: with added hot milk. Normally ratio is 1:6 espresso: hot milk. You'll always spot a barista doing this. After they've filled the filter holder with coffee they'll gently tap the top of it, levelling off the coffee, before locking the holder into the machine. This is to make sure the water filters through evenly. Too much 'tamping' and the water will take too long. Top machines feature an in-built tamper. For perfect frothing you can use any type of milk - full cream, semi-skimmed or skimmed is fine - as long as it's fresh. It's the protein that makes the froth, and this diminishes after about 4 days. Always use a stainless-steel jug (it conducts heat better) and fill it to just under half full with cold milk. When it's too hot to touch at the base the froth is ready. Give it a couple of taps to get rid of any bubbles, and then gently spoon the froth onto your espresso for that perfect cappuccino! Information from http://coffee-machines.cookery-guide.info/ who appear to no longer be online.